Time to Recharge Your Batteries! The May Full Moon falls in the sign of Sagittarius on the 29. This is the month of the Full Flower Moon. Can you guess how this full Moon got its name? That’s right –flowers as Flowers are becoming abundant now. They are literally everywhere. It can also be known as the Corn Planting Moon, the Milk Moon, and the Hare Moon. This is possibly the best time of year as it’s not too cold or too hot. Flowers are all around us and it’s a very joyful time. Memorial Day is not about picnics and barbecues. 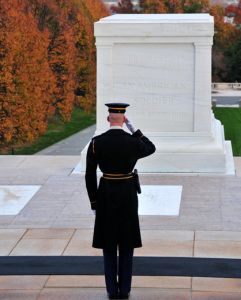 It is about showing respect to those who have fought and the many that died for our country. With this holiday it is not the war’s we are remembering, instead, we are remembering those who served and those who gave all of their devotion in order to insure that the freedoms that this country offers would be able to be passed on to the next generations. There are rows and rows of white tombstones in Arlington National Cemetery. The freedom wall holds 4,048 gold stars at the World War II memorial. Each gold star represents one hundred American Service personnel who died or remain missing in the war. Many names are etched into the granite at the Vietnam Memorial. I offer my heartfelt gratitude to their souls. Here’s some ground rules for Memorial Day Weekend. In the United States, we are observing Memorial Day this weekend. I wanted to take a minute and share with everyone the significance of Memorial Day to me and, I believe, to all of us. On Memorial Day, we take time to remember all of the soldiers that died so that we can have our freedom. My father fought in World War Two and his total platoon was killed by the Japanese and he survived because he played dead even though he was shot many times. So this holiday is very important to me as I remember what my father went through for me and for others. How to Activate Your Intuition Now! Often I receive calls from clients and their question is, “Is my mate cheating on me?” my reply is, “What do you feel inside your gut?” Many times they will say, “I can’t prove it, but I know that they are.” That’s when I tell them their intuition (Higher Self) is letting them know that something is wrong and they need to listen to that gut instinct. I already know the answer; basically I’m trying to help the person tap into their own intuitive psychic awareness, so they can learn how to get their own answers. What is intuition? It is the ability to get a sense, vision or feeling about someone or something. Intuition communicates with us through symbols, feelings and emotions. It usually does not speak to us in clear language. We all have intuition. We are born with it. We use it as children – we did not know any better. We used our instinct or gut. But as we grow older and our rational and reasonable mind develops, and society teaches us differently, we lose touch with our intuition. We ignore it, cast it aside forget about it. Like an out-of-shape muscle, intuition can be strengthened and exercised back into shape.